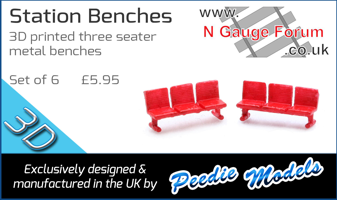 A distinctive & unusual tender loco with no outside cylinders or valve gear? Hmm. Yeah GT3 would be an interesting one to see produced, certainly different. I'd have one. I dont see any outside cylinders in the pic that @Dalek showed LOL! so, being late at night and nowt else to do I thought it might be amusing to GIMPshop out the conrod? (green arrow) as well, and leave just the coupling rod for Colin to model. But on close inspection I have a problem, what is the red-arrowed thing in the original pic ? has someone been pixel-pokeing already ?? The reason Colin doesn't do outside cylinder (or 3 or 4 cylinder) locos is that he doesn't find slide bars, crossheads, motion brackets, outside connecting rods and related cranks & levers economical to produce. The picture of a streamlined "Princess Coronation"£ Pacific showed an abundance of those, so Hell will freeze over before you see one coming out of the Union Mills factory. 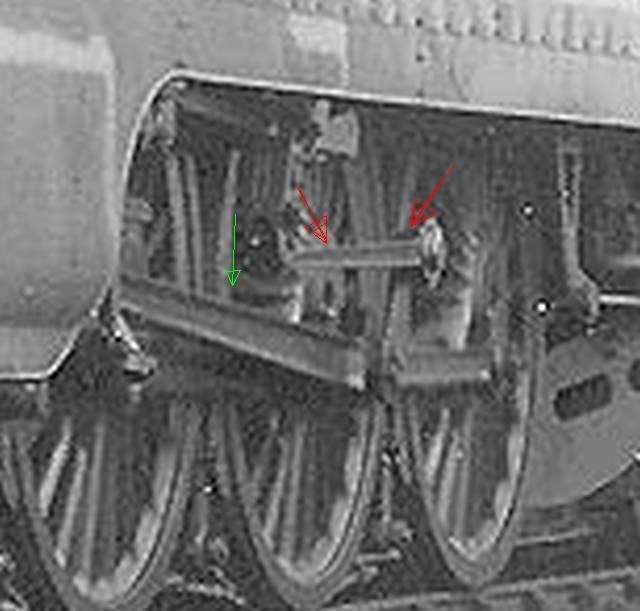 Even simpler external arrangements, such as those found on Caprotti valve gear Class 5s or engines such as ex-GWR Halls & Manors, ex-NER T2s (Q6s) & Robinson 2-8-0s with inside Stephenson gear & ex-GWR "Castles" & Kings" with inside Walschaerts gear will remain "pie in the sky". And, by the way, the large bulge on the extreme left of the photo betrays the location of the left-hand outside cylinder. I did email Mr H recently but no reply. Usually by now we would have some insight into what new loco UM will be producing this year. I know he is going to re-run a few old favourites, but has anyone heard yet whether anything new is planned? Mr H doesn't do emails, but he usually answers the phone. He has replied to mine on a number of occasions in the past! Sometimes he does. Sometimes he doesn't. There doesn't seem to be any predictability about which you'll get. I'm the same with my work phone. The boss gave me a phone that I can't mute, but I still likely as not don't answer it. hi, Colin on a break til 21st March.